August 26, 2018 | You know the statistics. Income inequality in the United States has not been this pronounced in over a century. The top 10 percent has 50 percent of the country’s income, and the upper 1 percent has 20 percent of the country’s income. A quarter of American workers struggle on wages of less than $10 an hour, putting them below the poverty line, while the income of the average CEO of a major corporation is more than 300 times the pay of his or her average worker, a massive increase given that in the 1950s the average CEO made 20 times what his or her worker made. This income inequality is global. 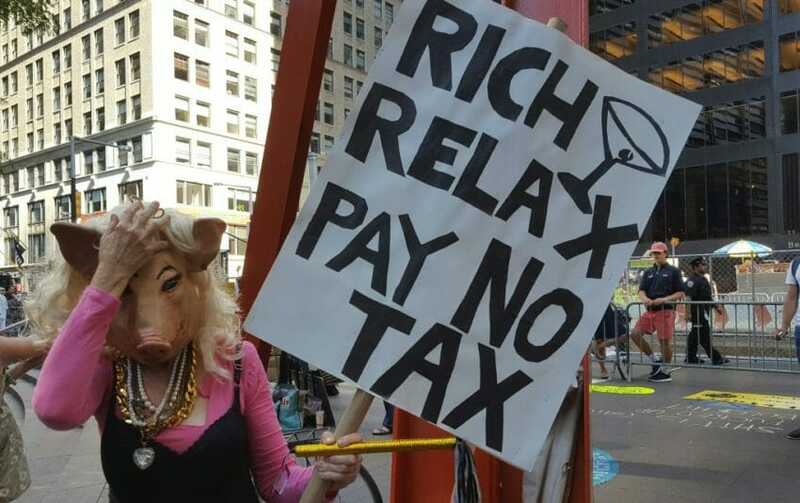 The richest 1 percent of the world’s population controls 40 percent of the world’s wealth. And it is getting worse. What will the consequences of this inequality be economically and politically? How much worse will it get with the imposition of austerity programs and a new tax code that slashes rates for corporations, allowing companies to hoard money or buy back their own stock rather than invest in the economy? How will we endure as health care insurance premiums steadily rise and social and public welfare programs such as Medicaid, Pell Grants and food stamps are cut? And under the tax code revision signed by President Trump in December, rates will increase over the long term for the working class. Over the next decade, the revision will cost the nation roughly $1.5 trillion. Where will this end?